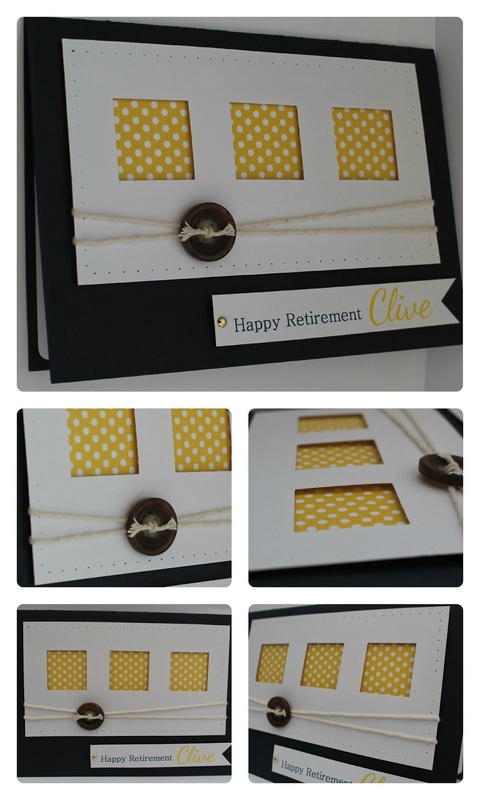 A friend of mine is retiring at work so I made him a card for everyone to sign. I went for a clean and simple design using navy, white and yellow. I printed the sentiment and cut it into a banner shape. Daffodil Delight Polka Dot Parade patterned paper - Stampin' Up! 1 3/8 square paper punch - Stampin' Up! 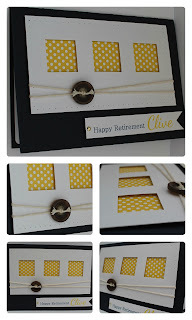 Retired navy card from Stampin' Up!